There’s no better example of a self-motivated entrepreneur than a real estate agent. Entrepreneurs are defined by their initiative, willingness to take risks, and ability to dig in and get their hands dirty. 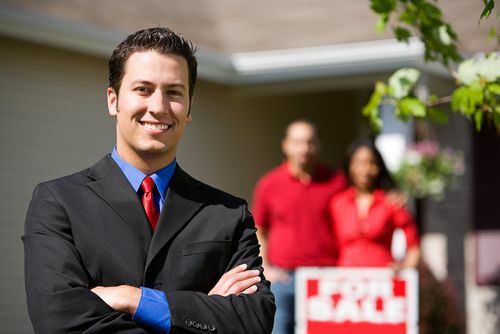 So, what makes a successful real estate agent? While it’s important to stay on trend with the latest marketing techniques and technological advances, the most successful agents possess certain traits that establish them as leaders. Every agent has her or his own personal style. To succeed, you must be able to connect with and treat each client as vitally important. Do this by encompassing the following traits. Communication. It’s easy to get caught up in closing the deal, but remember that, except for the rare few, buying or selling a home is a stressful time for clients, who worry about the small details. Let your clients know quickly—and often—where the process stands. It’s crucial to understand that what may be insignificant to you as someone who’s been around this block many times is vitally important to the client. Perseverance. Not to be confused with pushiness, perseverance is about follow-up and bringing something new to clients. While some deals may seem to fall in your lap, landing other clients will require a slow and steady process that convinces them to place their trust in you. To create lifelong relationships, go above and beyond to make your clients feel valued by researching, communicating, and adjusting to bring them the best options. Let them know you have a passion for finding them the perfect property. Integrity. Integrity is what clients observe, not what you tell them. The most successful real estate agents display a high level of integrity in every transaction and interaction with not only clients, but other agents and brokers. It’s unfortunate that the real estate field is tainted by bad apples, but an unquestioned integrity of character will make you stand out from the crowd. Learn to consistently use these traits to generate a consistent flow of leads that convert into clients, and success is sure to follow. I’ve been trying to come up with a good way to sell my home. I just don’t know what to look for in a real estate agent! I’ll make sure that I find one who is good at communicating. That way I don’t have to worry about being as stressed. Communication is a good thing for individuals to have. It would be nice to hire a realtor that effectively communicates with you. That way, you can ask them questions and hopefully have them answered. I would not like to work with a realtor that doesn’t really talk with me or share any ideas or suggestions with me. I have heard a lot about communication being an important characteristic of a real estate agent. I have not heard a lot about perseverance or integrity, but I love those two. Perseverance is so key to finding the home of your dreams. A good realtor will do whatever it takes to help you find that home and do it for the cheapest price possible! I am happy to learn that communication is a trait of a successful real estate agent. It is good to know that realtors can share details of the selling process to prevent you from stressing. My sister recently sold her house and said that they set up all meetings at the first appointment to eliminate the possibilities of a cancellation. Thanks for the great read. A good friend of mine is looking for a real estate agent to help him sell his home. You mentioned that integrity is a quality you want a real estate agent to have. Working with someone who is honest and always doing the right thing could provide you with a lot of peace of mind. I like that you mentioned that a good real estate agent will follow-up with their clients and bring something new. My husband and I are thinking of moving, and I know it would be nice if we always had new options from our agent. It would make the search process a lot easier for us! It is good to learn about the importance of perseverance when it comes to the qualities of a real estate agent. I like what was said about realtors letting clients know that they have a passion for finding them the perfect property. It would also be great to find a local agent who is familiar with other homes for sale in the area and their prices. I am finally ready to buy a house but am told I need a real estate agent. Thank you for talking about how a great agent can communicate clearly with you. I can see how anyone looking into this would want to make sure they shop around and interview several professionals in order to find the one that has their best interests in mind. It is good to know that communication is important when it comes to working with a realtor. Having a realtor who tells you often where the process stands would be awesome. Speaking with past clients about their experience with the realtor would be a good idea to find more out about the realtors work ethic. My wife and I are planning on buying a home but we want to make sure that we have a professional real estate agent to work with us so that we can get the best possible deal. Like you mentioned, it would be a good idea to find someone with great communication skills so that we will be able to know where we are at in the process at all times without having to be in the dark. Also, it would be a good idea to find someone who doesn’t have many other clients at the time so that we can get the best possible service. My wife and I are planning on buying a house soon and want to make sure we find the best agent to help with the search. Thank you for talking about how well real estate agents need to be good at following up. It makes sense that taking the time to look for someone that communicates well and cares about what you need in a house can help you find what you are looking for at the best prices. I can see why you included perseverance as a quality to look for in a real estate agent. I feel like I would be a lot more likely to enlist the services of a real estate agent that shows they have a passion for finding me the perfect property like the article states. I think a good way to determine if an agent can persevere is by speaking with past clients from that agent and analyzing to what lengths that agent went for their previous clients. Communication is the key to make a successful real estate deal and we can mold things accordingly. Thank you for the valuable information. My wife and I are looking to buy our first home, and I think that looking for a real estate agent’s help would be really nice. I like that you talked about choosing real estate agents who have great communication skills, because they’re going to need to communicate with us and the sellers! I’m going to have to see if we can find some good real estate agents to help us, and pick one who has great communication skills! Thank you for explaining what it takes to be a good real estate agent! Hearing my mom talk about realtors I always thought they were generally pushy and rude because that’s how you get success. I realize now from the article that it is more about following up with clients and comfortable care. Thank you for helping people like me understand how to choose a realtor! I agree with you that successful real estate agents are not pushy, but are good at following up with clients. In my opinion, a deal won’t just fall in your lap unless you put in the work. Following up with clients to see what they are looking for or what their needs are is one way to put in the hard work required to make a great deal. Great post. I think that integrity is the most important of all these qualities. It is important that they communicate with their clients and strive to be better, but that doesn’t mean anything if they don’t have integrity. Thanks for going over some traits of a good real estate agent. I’m glad that this article mentioned that it’s important to make sure that clients feel valued. Seeing your determination will probably help motivate them as well. Not only that, but it just seems like a great way to make sure that the partnership works out great. as a realtor, it’s nice to know what people are looking for. I aim to be clear in my communication, persistent in my follow up with clients and I strive to keep my integrity at the highest level! It’s good to know that when it comes to finding a real estate agent that one quality that needs to be looked for is integrity. I liked how you mentioned that a successful real estate agent will display a high level of this quality when it comes to the different kinds of transactions that are involved. When we get ready to start our search for a house, this is something that we will be on the look out for. Thanks Continuity Programs! Those are great characteristics for all real estate agents to work on. Thanks for the help! I learned a lot in this article. Good job! Buying a home can be a stressful thing for a lot of couples. My wife is going to start looking for homes for us to buy and I like how you said that a good agent will help with a home inspection and make sure it is presentable to buyers. Agents seem like they can add a lot of value in a presentation of the home! I am trying to get an idea of what to look for in an agent from the outside in. Having good communication is excellent if you want to know what options are realistic for buying a home. Since the process can be long I would also want an agent that can turn a task into an adventure. I’m glad you mentioned that every agent has their own personal style and it is important to make sure that you connect with each other. I think it would be great to find a real estate agent that you can really get along with. I know I would want an agent who I can talk to comfortably when we are looking for homes. I really appreciate your tip to look for a real estate agent that communicates well with others. I also like how you said that they should be honest and practice integrity. My husband and I are looking into a real estate agent that can help us find a new house. I really liked it when you said that a good realtor must be persevering in a way that they are always updating their clients for changes and following them up with new options. That is the quality that I like from the realtor that I will hire. This because I do not have the time to look for a home that I will buy as I am busy with my job. It would be nice if they are proactive and share ideas whenever a new one pops up. If you’re planning to buy a new home or sell your old one anytime soon then you’ll want to make sure that you’re hiring a good real estate agent. Fortunately, the article has some great advice on what you can do to find one, especially with the factors that you should look for. After all, a real estate agent with good communication skills is important so that they can update you regularly on your sale or purchase. I really like what you said about how great real estate agents push the envelope when it comes to researching, communicating, and adjusting their game plan as per client’s needs. If I wanted a property purchase, I will definitely want someone that can really exceed my expectations. That agent will really earn a well-deserved recommendation to my colleagues for sure. I appreciate your tip about how you should look for a real estate broker that has effective communication, because this will allow you, as a client, to know where the buying process stands, especially since it can be such a stressful process. My niece is looking to buy her first home, but isn’t sure where to start or how to tell if the deal is fair or successful. I’ll have to recommend that she find a real estate broker that is genuinely interested in helping her through maintaining a clear and open communication about the sale so she can have peace of mind and understanding through the home buying process.